Can you replace my lost TurboProject activation key? How Many Computers Can I Install TurboProject On? Is training available for TurboProject? Can someone show me how to use TurboProject? TurboProject Pro Now Only $99.99! Save $150 Today! Identify team members responsible – Know what everyone is doing and get early warning of resource conflicts. Know the critical path – See where to focus your efforts to finish projects in the least time for the least cost. 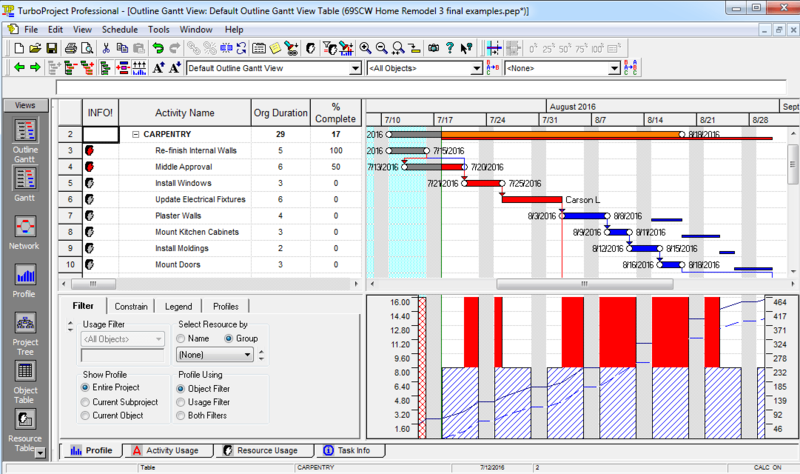 Easy Gantt chart creation – Make a schedule with dates and critical path in minutes. 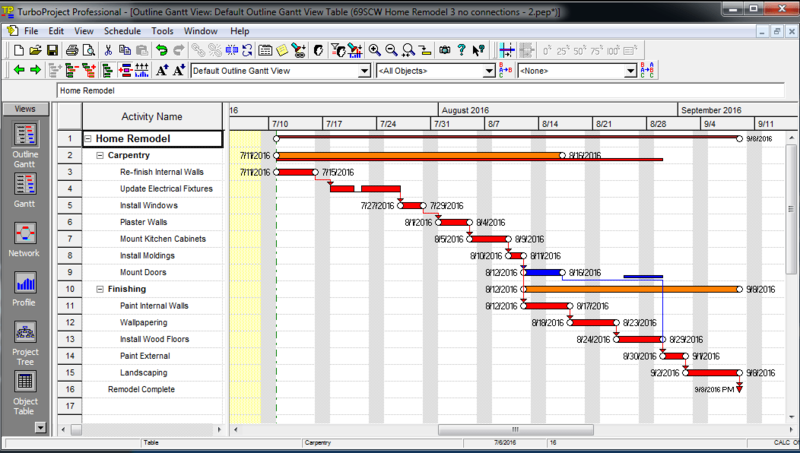 A single view of many projects— Get a combined view of multiple projects that share the same resources. Publish to the Web, Word and Excel— Communicate your plan in a variety of sharable formats. Extensive Reporting Options – Includes Earned Value, progress reporting and budgeting. Intuitive Interface and Navigation— TurboProject is easy to learn and apply on the job. Online Tutorials or On-Site Help— Convenient training options are always available. Affordability and Value— TurboProject is a feature-rich program at an affordable price. “Better than any other tool, TurboProject helps me to build a realistic plan.” — Tony Sanders – Sanders Associates Ltd.